What do in Brighton & Hove? 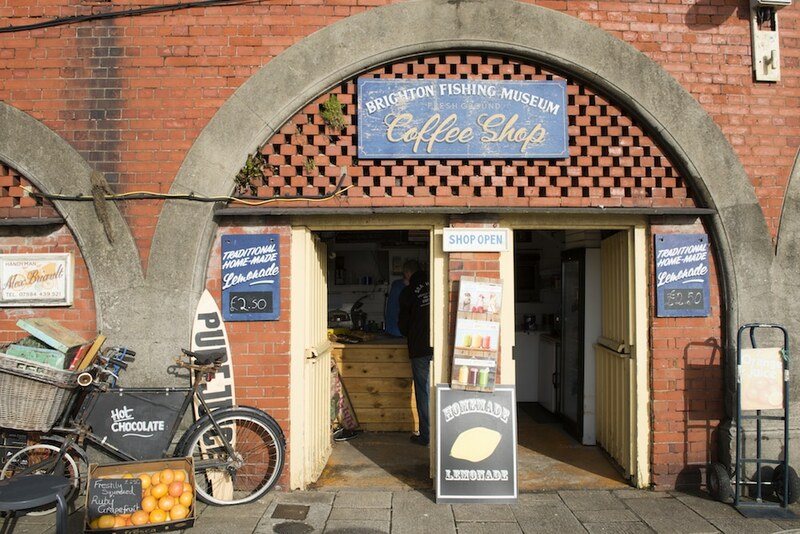 Looking to visit some of Brighton’s most iconic landmarks, then here are just a few of the things you simply must do in Brighton! Brighton and Hove is a city that is never short of things to see and do. From the iconic Victorian seafront to the funky Lanes and the beautiful South Downs, there’s no shortage of places to visit and different experiences to immerse yourself in. Whether you’re a resident of the city or a weekend visitor, there are certain activities that you must tick off your list before you can say you have truly experienced the city in all its glory. 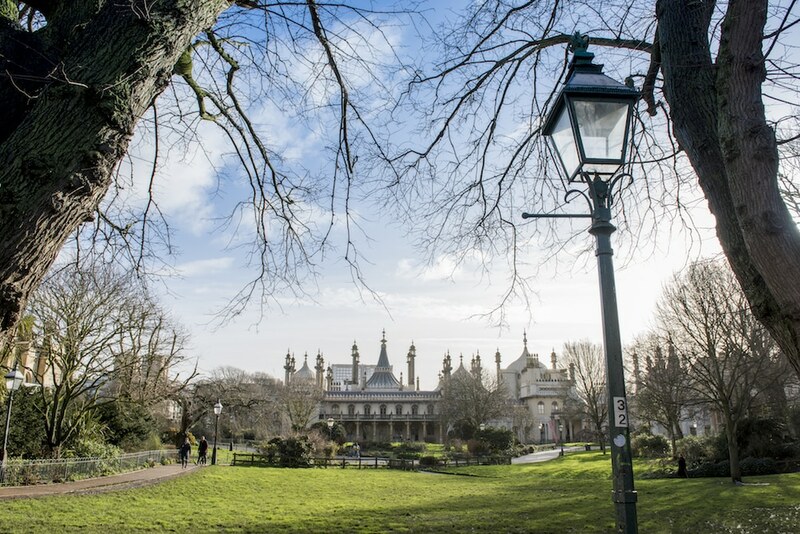 Here is our list of things to do in Brighton and Hove that celebrate this wonderful city and the people who call it home. During the summer months Brighton beach is busy and bustling during the day. Revellers come from far and wide to soak up the rays and relax on the famous pebbles. This can be quite a hectic time on the seafront, which is great if you like that sort of thing, but we feel it really comes into its own later in the day. An early evening stroll as the sun sets is a wonderful way to experience the seafront. 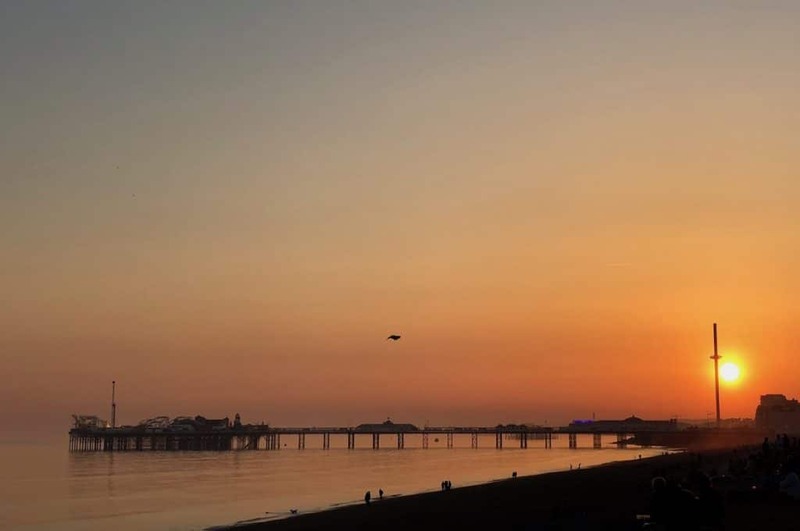 Our nearest star really puts on a show as it sinks behind the horizon, framing the West Pier and filling the sky with wonderful pink and purple hues. 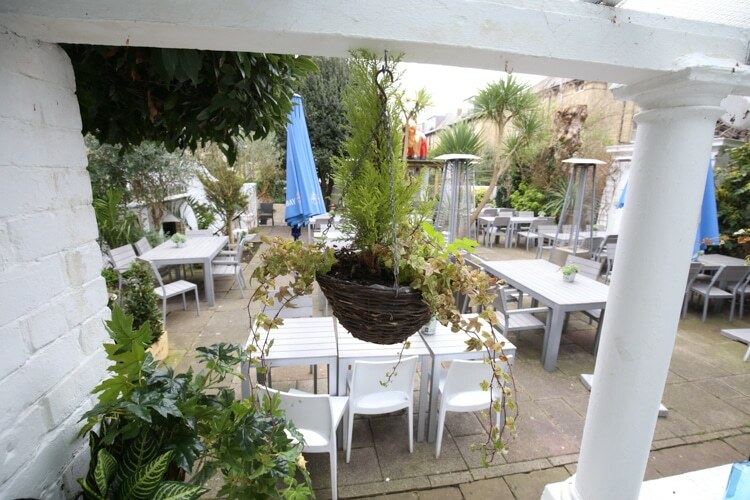 If you fancy having a sit down and a bite to eat whilst taking in the show, then there are plenty of seafront options with outside seating to take it in. Our favourites are the terrace of The Flour Pot The Salt Room, OhSo Social, Lucky Beach, The Copper Clam, The West Beach Bar and Kitchen (NEW), Bucket and Spade Café and Smokeys American BBQ. 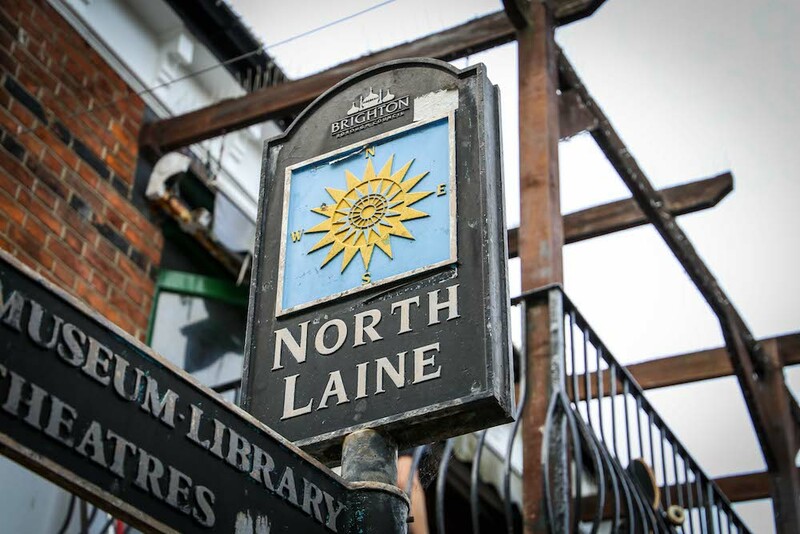 Brighton’s North Laine area is well known for antiques, art and vintage boutiques with many people flocking to shop until they drop. This is all well and good but it can be a little fast paced and tiring. For those looking to enjoy the hustle and bustle whilst taking the weight off their feet, we can recommend taking up seat outside one of the city’s many cafes or bars and indulging in a spot of people watching. Brighton is well known for its diverse and fashion conscious residents, who are just as colourful and eye catching as the items for sale in its shops. What could be better than sitting back with a delicious cup of coffee, a slice of cake and watching the world go by. Our favourite spots include L’Atelier Du Vin, Kooks, Silo, Infinity Foods Cafe and Grow 40. It is easy to see why people focus on Brighton’s seafront, but head a little inland and you will find some beautiful parklands. 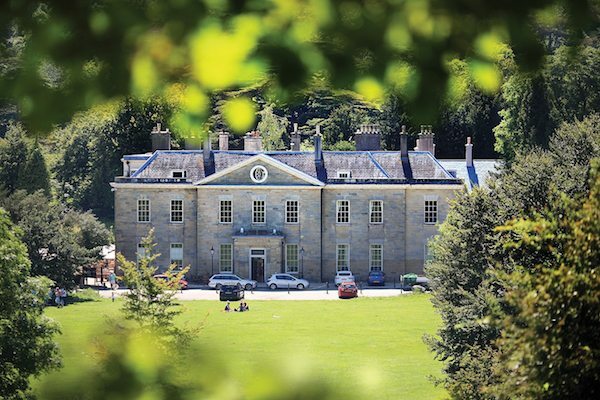 Our favourite has got to be Stanmer Park. Situated on the outskirts of the city, it is just a short drive, cycle or bus ride from the city centre. From here you can access the South Downs for a proper country walk, or just sit and enjoy the green space with a picnic. The estate dates back to the 18th century with the grade 1 listed Stanmer’s Proud Country House, now a tea room and restaurant. Together with 17 other grade 2 listed buildings Stanmer is a magical slice of history on the edge of our city. Explore the village of Stanmer with its 19th century church and beautiful cottages, or take a walk through the woods that encircle the main open green space. Stanmer proves there is more to Brighton and Hove than the Pier and Lanes. During autumn and winter, nature puts on another if its greatest shows when the starlings come to roost on Brighton’s west pier. Each evening thousands of birds put on a mesmeric performance as they circle and swarm around the sky. 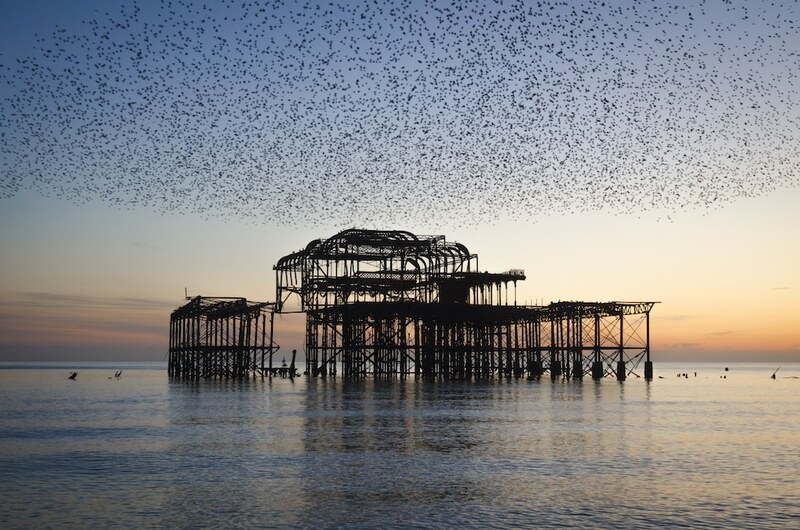 This awesome show of nature’s beauty, known as a murmuration, is further enhanced by the stunning backdrop of Brighton’s Palace Pier lit up in all its glory. This is truly one of Brighton’s best sights, and best of all it will not cost you a thing to enjoy it. On a calm evening, you can even hear the soft flutter of their wings as they circle and come to roost under the pier for the night. 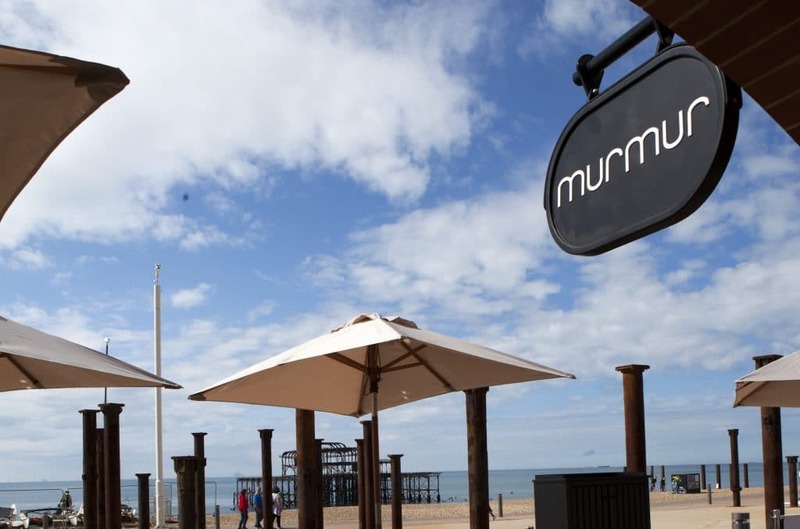 We are not the only ones who love the starling murmurations and local chef Michael Bremner (64 Degrees) has named his recent restaurant Murmur after the phenomenon. 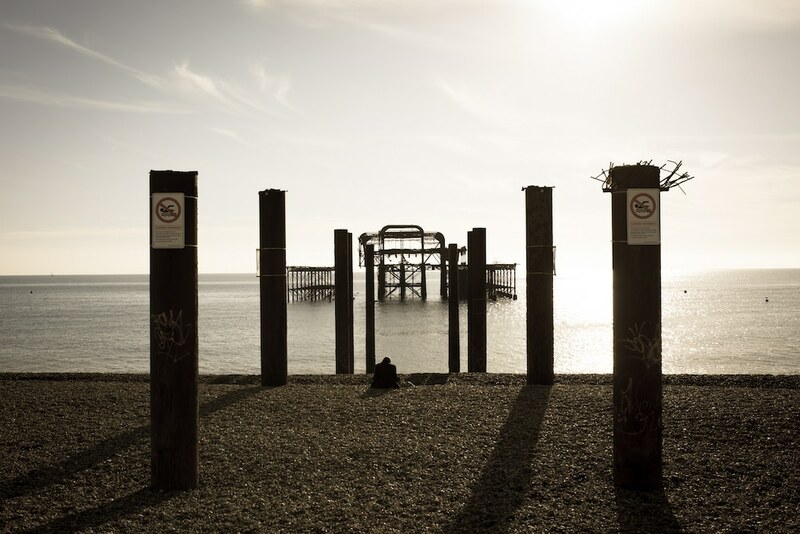 Situated on the seafront by the West Pier it is the perfect spot to enjoy them from. 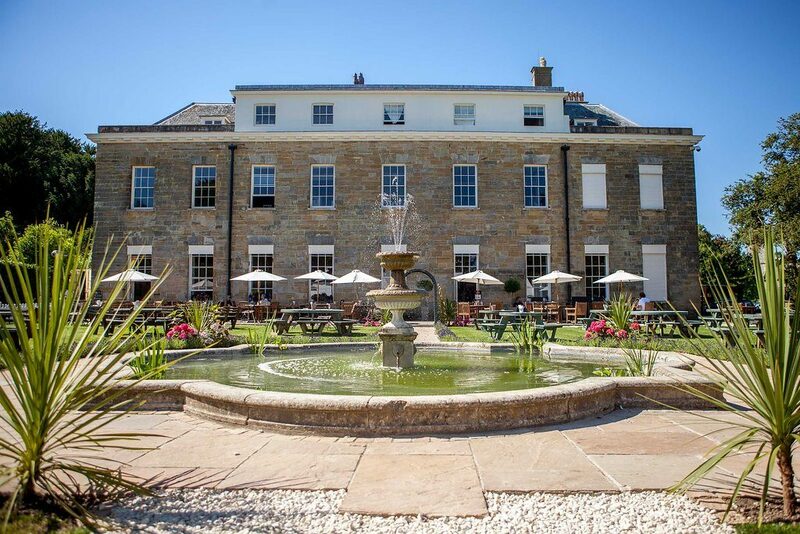 This beautiful regency square features fabulous architecture and a museum to the era within The Regency Town House. Each year there is a community festival that brings all the locals together that is focussed around Brunswick Square. Slightly further to the west you will find Adelaide Crescent and Palmeira Square. With stunning architecture, thought to be some of the best outside of Bath, the grade 2 listed buildings of Adelaide Crescent are quite a sight. Palmeira square is slightly less grand, but no less beautiful. These are all perfect for a picnic, or the surrounding area is well served by restaurants and cafés such as Cafe Malbec, Fourth and Church, The Little Fish Market and Latinoamerica. 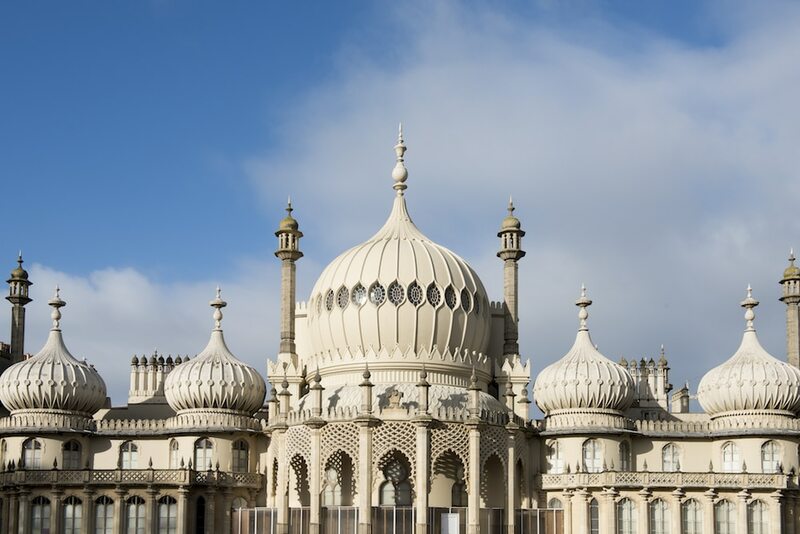 Love it or hate it, Brighton’s Royal Pavilion is one of the most eye catching and iconic buildings in the city. This pleasure palace of the Prince Regent was built in the Indo-Saracenic style and reflected the fashionable reputation of the city in the 18th Century. 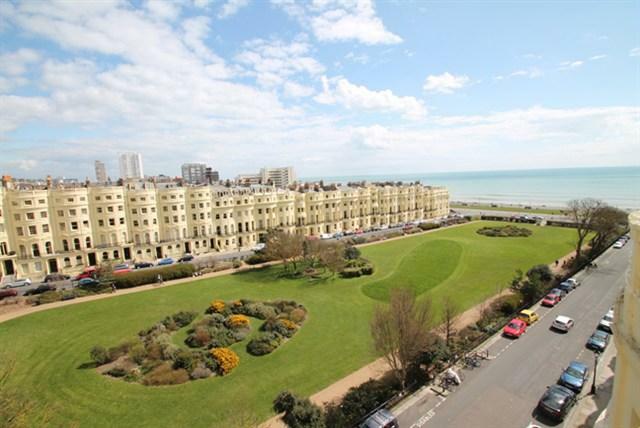 Famous for his extravagant lifestyle and fast living, it is no wonder Brighton appealed to the Prince. The city still has a penchant for fast living and indulgence, and the Pavilion is one of its top tourist attractions. Fully restored to its magnificent glory, this is one attraction that really should be seen to be believed. The adjacent royal stables have since been converted to a museum and concert space, the Brighton Dome, and are also well worth a visit. Situated slap bang in the middle of the city, you are perfectly placed to take in the many delights of Brighton’s theatre district once your tour has finished. 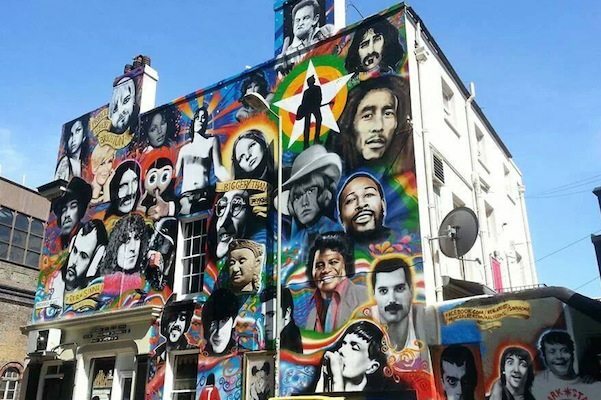 Brighton is well known as a city that appreciates a bit of art, and that is true of its streets. Throughout the city you will find large murals and graffiti on many of its walls and facades. Many of these are by famous artists and form some of the most iconic images of the city. 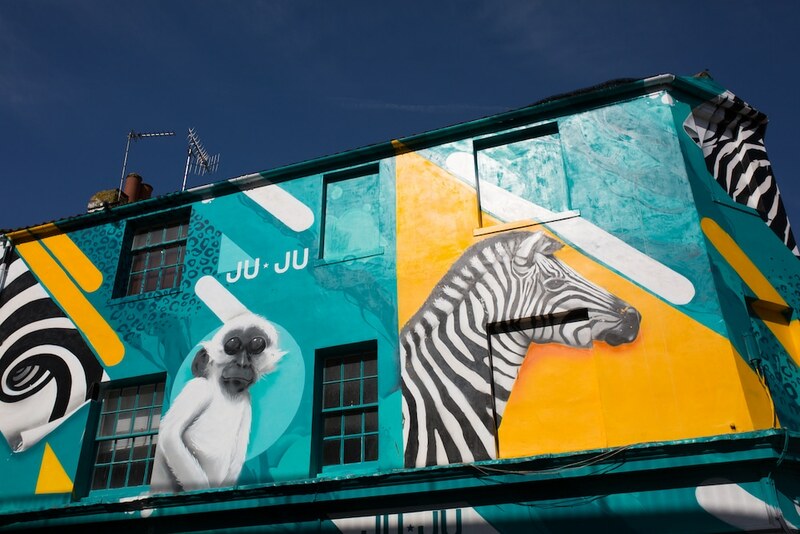 Areas to check out include the side streets of the North Laine area including the now world-famous mural on the side of the Prince Albert pub. Also head down to London Road and the surrounding area to see many more incredible pieces of artwork in the roads behind and around The Level. This is a great way to see the city and will take you a little off the beaten track where you might discover some new places to eat and drink such as Café Plenty, Semolina, Senor Buddha and Moksha Caffé. Once an area of the city that was not known for its attractions, London Road has been going through a transformation in recent years. Once home to pound shops and charity shops, the main road now features lots of cafés, pubs and restaurants that the city can be proud of. One crowning jewel of the area is the re-developed London Road Market which is packed with independent retailers, food stalls and quirky shops. Here you can find Parisienne style chocolatiers, incredible hummus and superb coffee alongside vintage clothing, records and bric-a-brac. 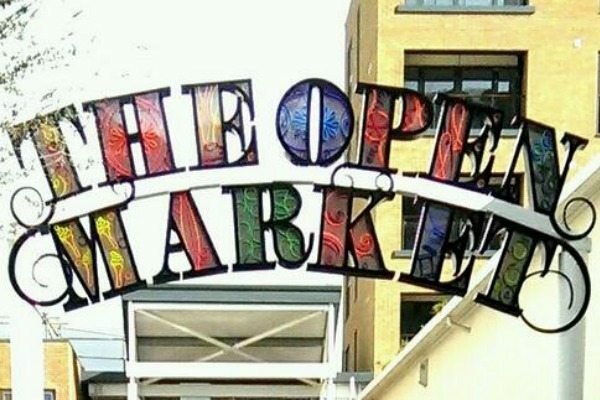 The market also hosts regular events such as record fairs and huge clothing sales which is making it one of the must visit areas of the city. 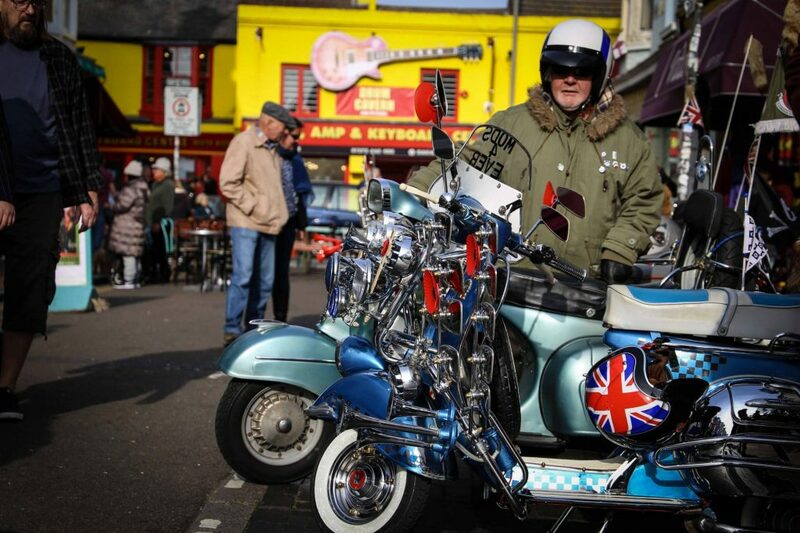 Come see Brighton’s independent spirit right in front of your eyes.